Prices of Smartphones are dropping rapidly, enabling more people than ever to use devices that only the wealthy could once afford. If you’re planning to buy one, it’s the right time! Surf http://www.saholic.com/ to get best deals on phones! 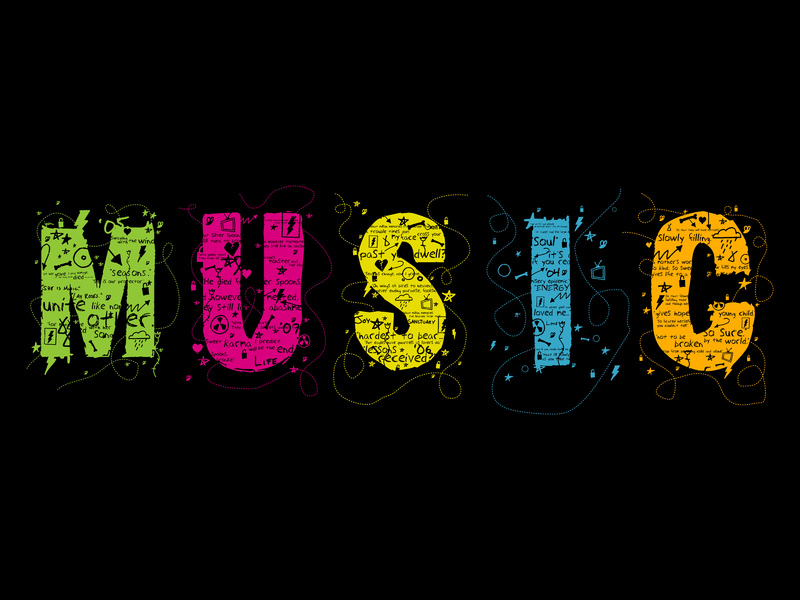 For downloading Hindi, Bollywood, English, Punjabi, Shabad Gurbani songs. Cannot listen to song directly from app. You have to wait till the song downloaded to ejoy the rythm. Songs of Khaleeji, Arabic, International, Bollywood & many other genres. Download song from Indian Movies & Bollywood Songs You can also get good collection of Pops Songs Remix. GEt instantly access to a huge library of high quality mp3 (128kbps) full songs. Just download music files on your phone forever! No need to buffer & stream! Download songs! A-Z categorization for easy browsing of songs. Downloaad option is clumsy. You have to go through the 4 to 5 page which contain images to get download option. Android smartphone market is growing by leaps and bounds and to add quality product in the Android world, Sony has come up with three new phones in its most popular series – L, Go, and, Ion. Let us discuss about Sony Xperia neo L loaded with Android v4.0 ICS operating system, the first ICS phone from Sony. However, ICS update has been rolled for lately launched Xperia series smartphone such as Xperia P, Xperia S, Xperia U, and Xperia Arc S.
Its design is somewhat similar to older Xperia devices say, Sony Xperia Arc and Xperia neo V but neo L is not zero sized as Xperia Arc (8.7mm slim). Taking some extra dose, neo L is 131.5g – quite heavy in weight, higher than both neo V (126g) and Arc (117g) and its consequence is clearly visible from the flab on its body (12.7m), making it quite fatter and curvy that Arc but a bit slimmer than that of neo V, which is 13mm thick. It has HD TFT 4 inch capacitive touchscreen display with pixel resolutions of 854x480. Packed in glossy plastic frame, it is lined with chrome making it look sleek and elegant. Just below the display are four hard keys – Back, Home, Menu, and Search and series name, Xperia finds its position below the four keys, better say on the bottom body of the phone while the logo Sony is embossed above the display. 3.5mm audio jack is placed on the centre of top portion – not a good placement. Left side of the phone houses a mini-USB port for charging the phone and data transfer, while on the right side are power button and volume rockers, as well as small speaker. I must say, the plastic bodies phone, which is actually slippery and with faulty placement of power and volume keys for one hand operation, may result in clumsy operation and even lead dropping of device from hand at times. Single core 1 GHz processor, 512MB RAM, and 1GB (user available 301MB) internal storage are found on the chip board of the device. Sony could have integrated a dual-core processor, as everybody now is looking for a fast processing dual-core or quad-core powered device today! Android ICS (Ice Cream Sandwich), v4.0 comes boarded on the device, the major selling point of Spny Xperial neo L. The phone comes with seven pre-installed neon-based ICS themes which are seen in the background when the home screen and menu are open, an impressive uniqueness. Touch is smooth, icons are neatly designed, and so overall user experience is quite smooth and fluid. Sony’s own Timescape lets users see the recent updates, tweets, messages etc on a single window right from the home screen. Useful widgets, shortcuts, customizable home screen, menu bar, notification bar, and more allows users to access their favorite and needed apps at fingertips. Camera is one of the signatory features of smartphone. Sony has not done any gaffe on camera front and Xepria neo L comes with a 5MP camera with autofocus, which is further accompanied by an LED flash that clicks far superior pictures than many. It supports video captures and comes with various modes to capture images according to moods. To meet the needs of end users, the phone also has a front facing VGA camera for video chat. However, one unexpected mistake on the camera front is absence of zoom. Sony could have easily managed to enhance the camera with the zoom option. Most of the phones in the price bracket come with zoom functionality, so a cause of possible diversion for buyers to switch to competitor. No choice for muting or lowering the shutter sound while clicking image is also a big negative on camera side. Known for superior music feature, noe L will also be liked by audiophile. The phone features host of music features, apart from standard music player, which comes with customizable playlists, folder view for music that include Artists, Albums, Tracks and Playlists. Users will be delighted to find hell of choices such as Find Music Video on YouTube, Get more @ Play Store, Search Artist info on Wikipedia, Search for lyrics on Google, Search Karaoke Videos on YouTube, and more. These features undoubtedly will give rich music experience to music lovers. Track ID is also a feature – the premium music app. Normal video plays smoothly on phone, while 720p video can be played but with complaint of frequent hang. The video player in the device has only three options – forward, back and start/pause. One can find EA Games and Get Games – the two popular gaming apps in Sony Xperia neo L. Both the apps offer a host of addictive and enjoyable games! Avid gamers would love to play on large screen with superfast speed – thanks to 512MB RAM and 1GHz processor, and obviously the GPU on board. I would like to inform that none of the games come pre-installed on the device. Users have to download the games through these apps using Internet connectivity. Moreover, users have a hell lot of choices for games from Google Plat store. There are innumerable free and paid game applications in the Google Plat store. Download n Play! Loaded with connectivity options such as Wi-Fi, Wi-Fi hotspot, DLNA, 3G, GPRS, EDGE, Bluetooth 2.1, and modern functionality make the phone a perfect companion! Along with good connectivity, the smartphone is actually a bridge in your social world – call, text, IM, send email, or just post status on social networking giants. Users will experience decent call clarity at quite places, while they are going to make a grudge in crowded place, perhaps no background noise reduction feature. It comes preloaded with Gtalk, Gmail, and combined inbox for all emails. Social networking integration with native clients such as Facebook & Twitter, make it a big choice. 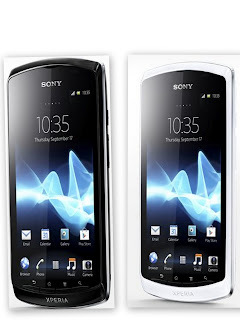 In the flooded Android smartphone market, Sony Xperia neo L is not only the left alone choice for users. It’s been talked about that Sony Xperia neo L will be priced at INR 18,449, and in the same price range and with almost similar features Android lovers may consider elegant HTC One V. HTC’s One series has managed to create a niche and prospect buyers may prefer to try hands on HTC One. On the other hand, the already popular Samsung Galaxy Ace has come with an updated version, Galaxy Ace 2. Also Android ICS is the major selling point of Sony Xperia neo L. However, there are more counts of Android ICS phone in the marketplace in the same price range, so users may not get impressed with mere ICS operating system. Anyway, the whole package is impressive! Let’s wait and watch how Sony is gonna manage a ground for Xperia neo L in the Android smartphone market! 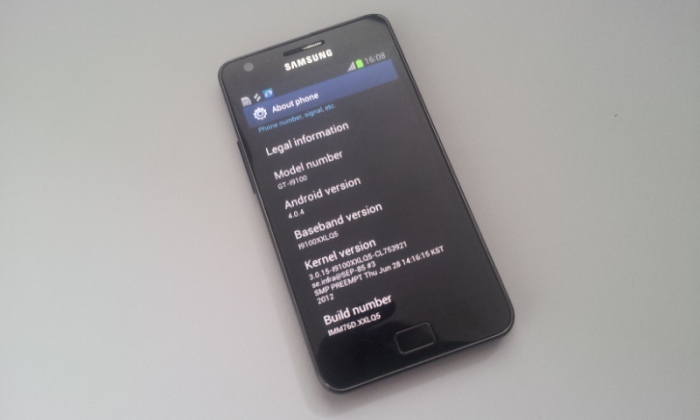 Few days ago, Android 4.0.4 official update was leaked for Samsung Galaxy S II and was available for download. And now, there is a definite reason to cheer up for the owner of Samsung Galaxy S II. Official update is not rolled over the air. The software update brings loads of enhancement in your existing device including performance update, bug fixing and slight change in user interface. For now, the update has been rolled only for international models and Indian users still need to wait the taste of updated software. This update is especially for Russia. To download the update, you must have latest Samsung Kies or you can directly download the update using OTA.